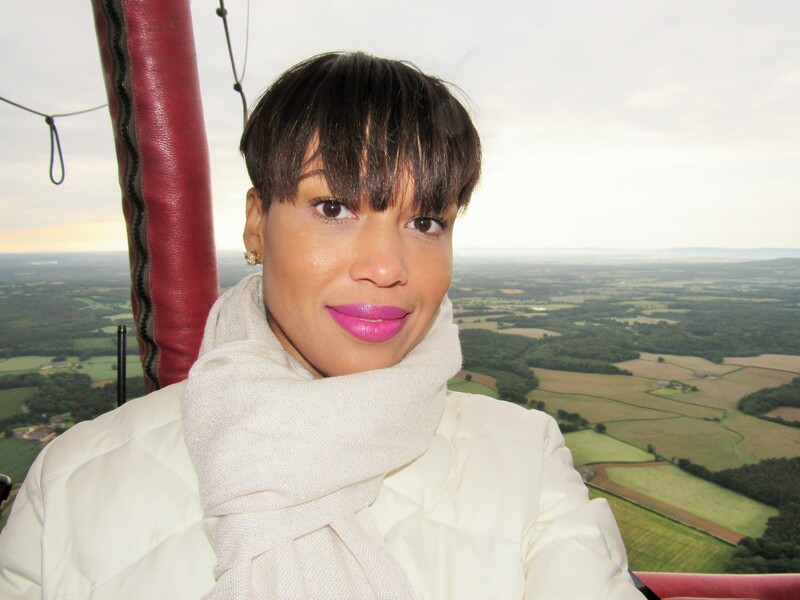 I had an amazingly busy week last week in which I managed to check off a major bucket list item…I took a hot air balloon ride!!! I can’t tell you where I got the idea, I think it was always in the back of my mind but it had become a burning desire in recent years. 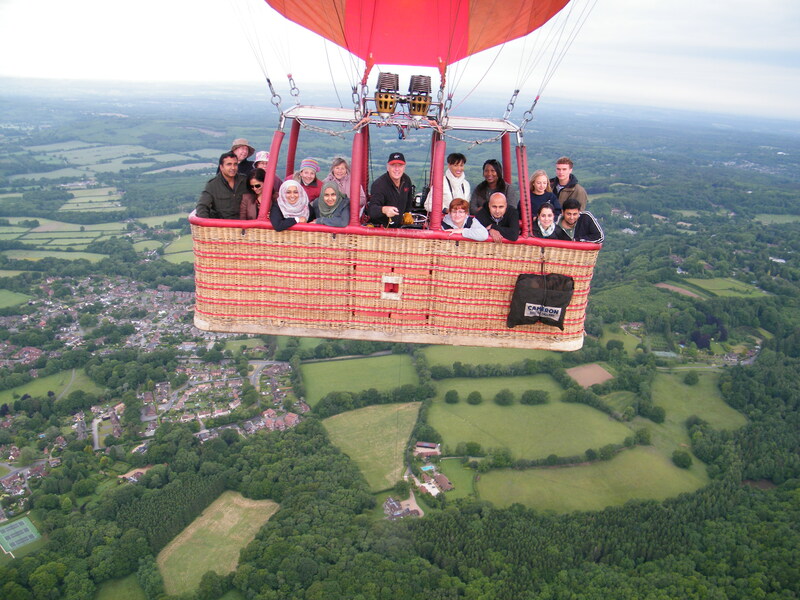 The idea of floating above a picturesque landscape whilst sipping champagne just seemed like it must be done so at the crack of dawn on Tuesday, I finally made it happen. It was a wonderful adventure that felt like a mini vacation in just a few hours. 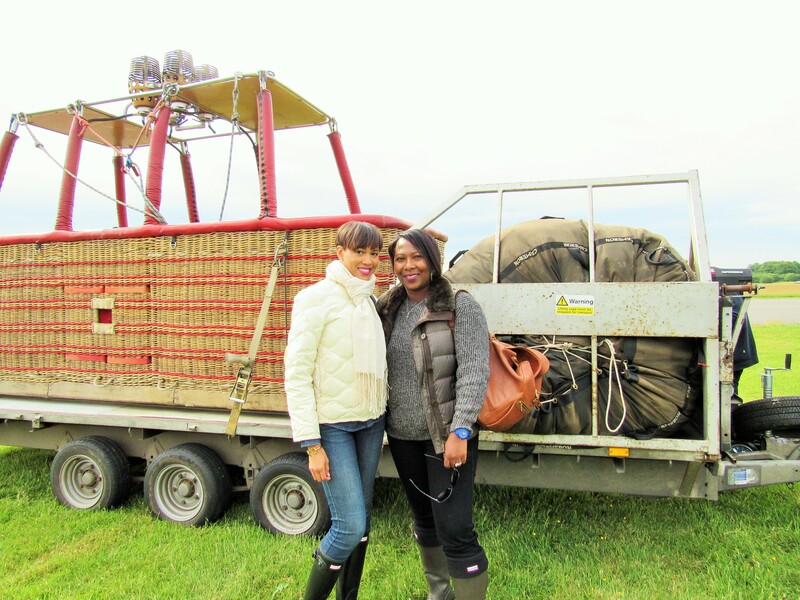 The plan was hatched late last year when I mentioned to my sorority sister and closest friend in London that I wanted to go on a hot air balloon ride and she shared that she also had it on her bucket list. Neither of our husbands were interested so we agreed to do it together. We booked a promotion during the off-season and looked forward to the spring flying season to finally take the ride. After two false starts last month due to inclement weather, I received a text message on Monday advising that there was space available on a flight the next morning and the weather was expected to be clear for flying. The two prior disappointments made me reserve my excitement and not cancel any plans in case it fell through yet again. 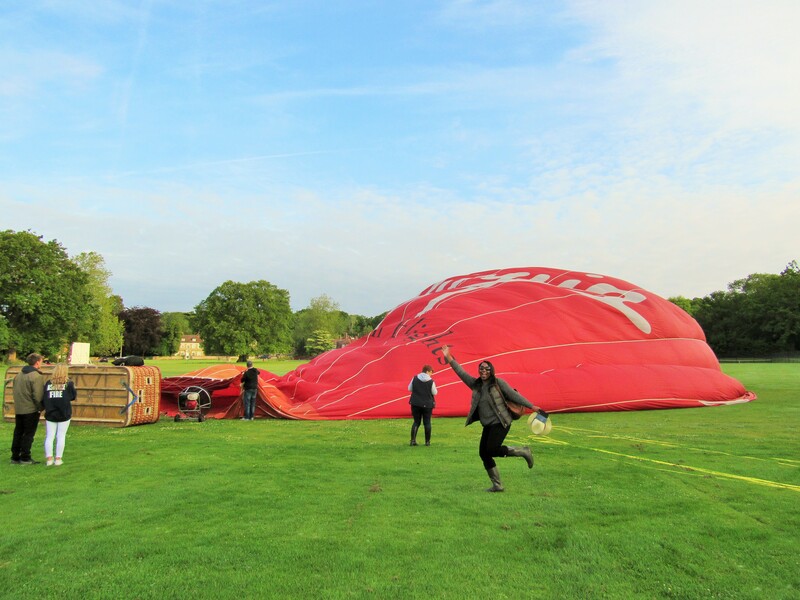 I figured that if the hot air balloon ride did finally happen, it would start and finish early enough for me to go to work plus I had a relatively clear morning meeting schedule which meant that I wouldn’t need to take off a day of work. 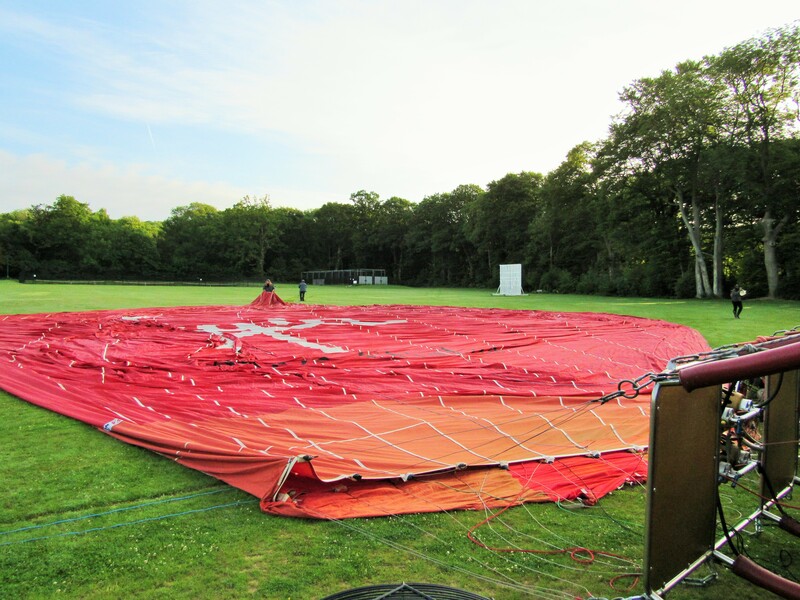 We arrived at the launch site at 6AM to help with the inflation of the balloon and an hour later were airborne. 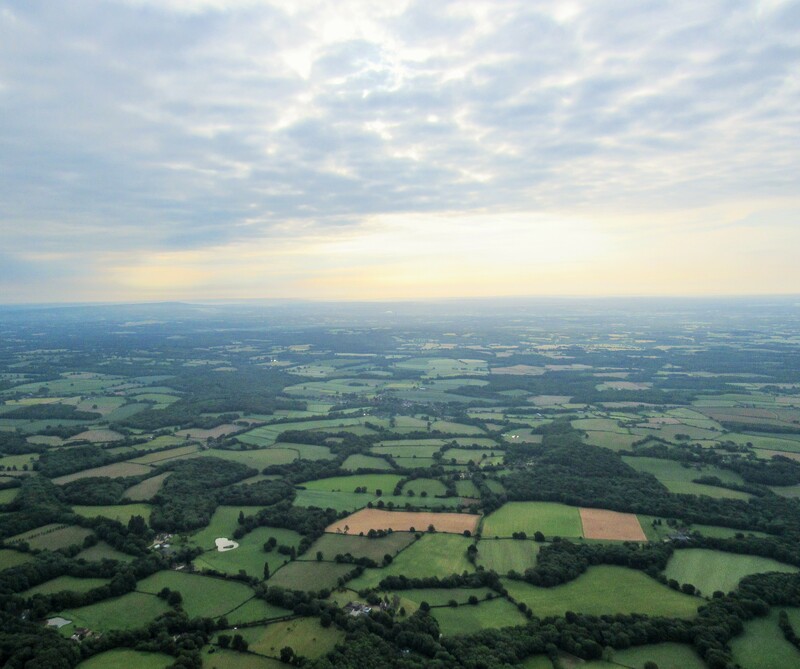 The ride lasted an hour over Surrey just outside of London where we saw gorgeous estates and beautiful farm lands. Initially, I thought an hour would be too short but it was actually just the right amount of time to take an obnoxious number of selfies whilst sipping champagne and remembering to not be too distracted to actually enjoy the experience that we waited so long to have. 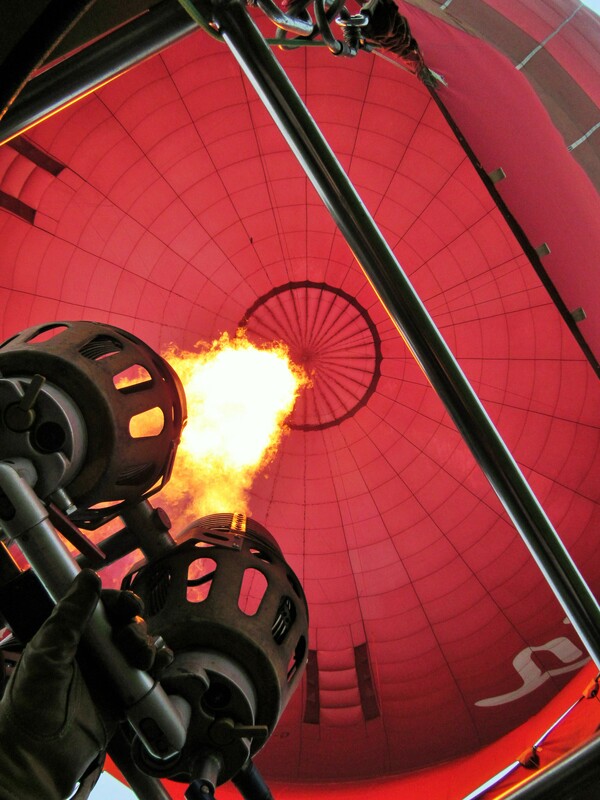 It was an amazing experience that I will always remember and it meant so much more to me than a hot air balloon ride on the surface. During the ride I can’t tell you what was going through my mind but I was definitely having a “pinch me” moment. The kind of moment when I think to myself, I’m just a girl from Brooklyn…how did I get here? 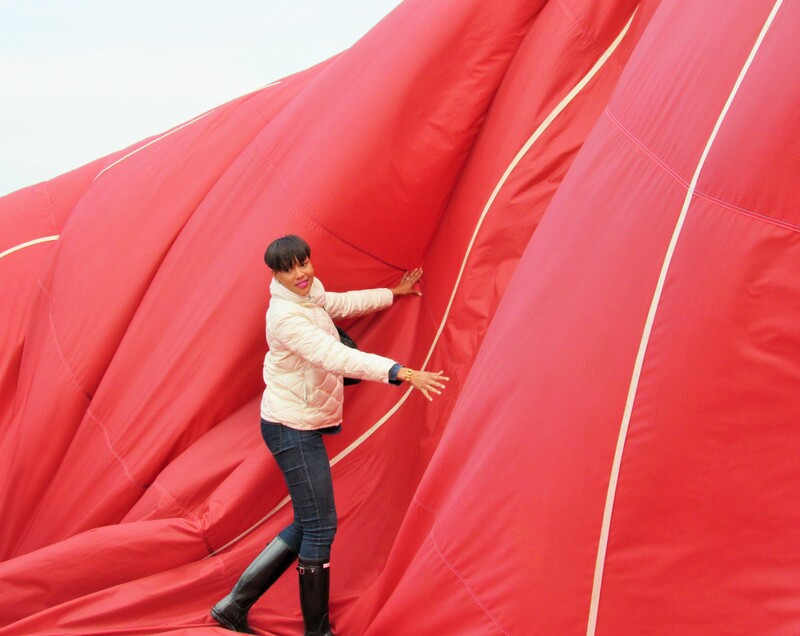 We landed at a small airport and helped to pack up the balloon and were shuttled back to our car several miles away. I took a conference call in the car and made it into the office at a respectably late time. Thank you! I really try to capture the experience.